The author’s latest legal thriller assigns a starring role to Gina Roake, yet another in his ever-expanding corps of regulars from the San Francisco justice system. Even though she’d just told him she wanted a divorce, and even though he told a traffic cop who tagged him for speeding that he was leaving town so that he wouldn’t kill his wife, nature writer Stuart Gorman can’t understand why the police regard him as their prime suspect after she’s found drowned in their hot tub. It’s true that Stuart is the person who found her the next morning, pulled her out and tried to administer CPR to a corpse already stiff with rigor mortis. And it’s true that Dr. Caryn Dryden’s death makes him a multi-millionaire. But he couldn’t possibly have killed Caryn, he points out, because he was up at Tamarack Lake when she died. In that case, Insp. Sgt. Devin Juhle wants to know, how could a neighbor have identified Stuart’s SUV pulling into his garage at 11:30 p.m. and leaving again an hour later? It must be a mistake, replies the suspect, who doesn’t even want to retain counsel because he’s convinced that the best way to clear himself is to play detective. Not until his old college roommate, California Assemblyman Jedd Conley, persuades him that hiring an attorney is no admission of guilt, does he sign on Gina, a partner of franchise linchpin Dismas Hardy (The Second Chair, 2004, etc.). Gina, a former prosecutor, has never defended a murder case before, and apart from the weight of the evidence, Stuart gives every sign of being the most clueless client in history. 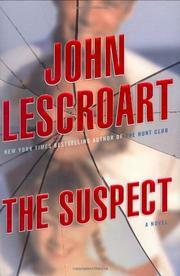 Lescroart cuts back on his trademark sociological sweep to deliver the mid-grade pleasures of the genre: a slow start, realistically repetitious interrogations, some crackling courtroom scenes and a surprise ending that will catch at least half his readers unawares.